A native of the Boston, MA area, John Funkhouser (piano, bass) studied classical piano from the age of seven, and classical bass from age nine. He majored in music theory at Cornell University and returned to Boston to earn a Masters degree from New England Conservatory in jazz piano, bass and composition in 1995. After four years living in New York City, John again returned to Boston in 2000 to raise a family, perform, and teach at Berklee College of Music. Funkhouser takes an active interest in a wide spectrum of music, including all kinds of jazz, from avant-garde to straight ahead to New Orleans Jazz, Brazilian and Afro-Cuban music, folk music of Eastern Europe, the Balkans, and Africa, American popular music, including funk, rock, blues, bluegrass, and hiphop, Classical from Gregorian chant to 21st century music, Hindustani and Carnatic Classical music of India, Balinese and Javanese Gamelan, and all kinds of hybrids between these various traditions. Funkhouser returned to his classical roots in 2003, joining the bass section of the New England Philharmonic under conductor Richard Pittman. The orchestra specializes in modern music, performing world premiers and 20th/21st Century music, as well as the standard Classic and Romantic repertoire. Funkhouser shared the stage with pianist Stephen Drury, and was featured in March, 2006 as section leader and as one of three soloists in Gunther Schuller’s 1991 Violin Concerto. Funkhouser has also taken an active interest in Boston’s World Jazz scene, and has performed with some of Boston’s top World Musicians, including Leo Blanco, Francisco Mela, Pablo Bencid, Steve Langone, Rebecca Cline, and Natraj. As the leader and pianist of the John Funkhouser Trio and as a sideman, Funkhouser has toured the US several times, performing at the New Orleans Jazz Festival, Pittsburgh’s Mellon Jazz Festival, Oklahoma City’s Jazz In June (as leader and headliner), and many other music festivals. He has played at the Blue Note Jazz Club, Birdland, and Dizzy’s in New York, the Kennedy Center in Washington DC, the Wang Center and the Berklee Performance Center in Boston, and top venues in Chicago, Los Angeles, San Francisco, Kansas City, Denver, Seattle, and dozens of other US cities. John has performed abroad in such diverse locations as Paris, Toulon, Zurich, Beijing, Shanghai, Singapore, Hong Kong, Toronto, and Montreal. He appeared with Matt Savage on ABC’s “20/20” and twice on NBC’s “Today Show,” and several other television shows. 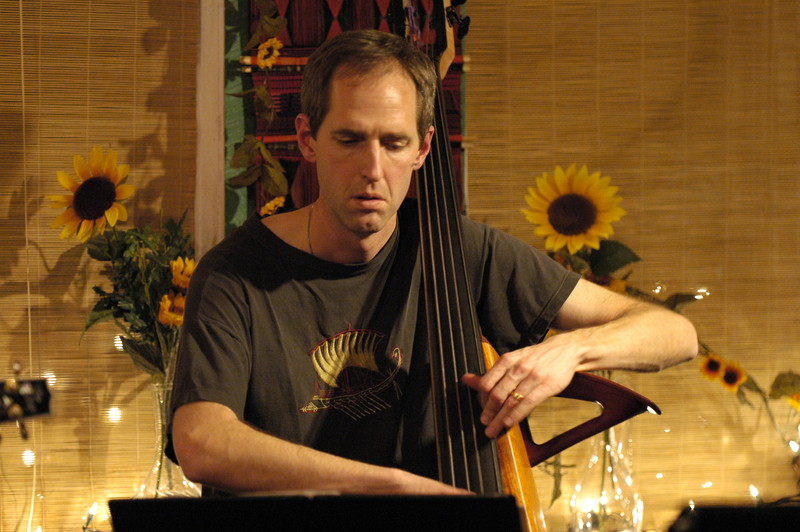 Funkhouser’s discography includes over 40 CDs, featuring him in various roles, including leader, pianist, bassist, arranger, and producer, including three CDs as leader/pianist of the John Funkhouser Trio, six CDs with the Aardvark Jazz Orchestra, five CDs with Matt Savage, two CDs with Willie Myette’s “Katahdin’s Edge,” two CDs with Pierre Hurel, and various CDs in a wide variety of styles with leaders including James Merenda, Philippe Cretien, and David Thorne Scott.